Last week we put the call out for Canberra’s best hole-in-the-wall cafe and votes came in for a few places around town. An honourable mention should go out to Kindle Cafe, which got the most votes but, in my opinion, doesn’t qualify as a hole-in-the-wall. As such it wasn’t included in this week’s taste off, but I can definitely confirm that it’s a great little cafe for a drink or a feed if you can find it tucked away behind City Walk in Civic. With Kindle out of the running, there were two clear contenders for this week’s taste off – Nookie Espresso Bar and Da Rosario, both in the city. But before I begin, you may have noticed that this taste off article is coming to you a day later than normal. We had a minor logistical issue this week – opening hours. I usually get out and about on the weekends to do my research, but both Nookie and Da Rosario are not open on weekends. It might be a hole-in-the-wall cafe thing or maybe just a coincidence, but it’s definitely something to keep in mind if you want to try either for yourself. First thing Monday morning, I made a quick stop off at Nookie Espresso Bar to grab my morning coffee and a cheeky little pastry. Nookie is located on City Walk in Garema Place, right next door to Sizzle Bento. It is literally a hole-in-the-wall with just enough standing room for two staff and a coffee machine. Blink and you might miss it, but for a tiny little place, Nookie certainly punches above its weight in quality, serving up one of the best takeaway brews I’ve had in a while. The blueberry brioche bun was also delicious. 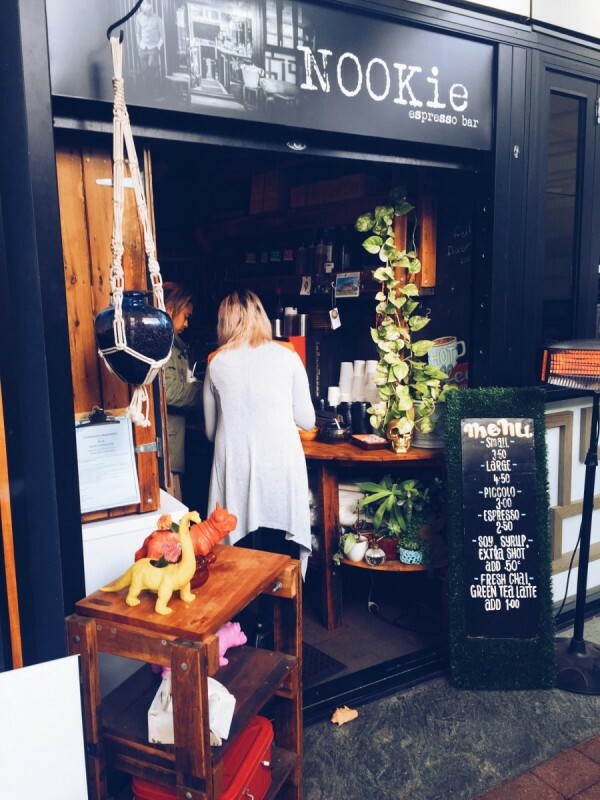 If you’re looking for a good coffee in the city, follow the whirring sound of a coffee machine, look for brightly coloured crocheted blankets and you’ll know you’re in the right place when you get there. Later in the day I stopped by Da Rosario for a quick lunch date. Da Rosario is located just next door to the Mezzalira restaurant in the Melbourne Building on London Circuit. 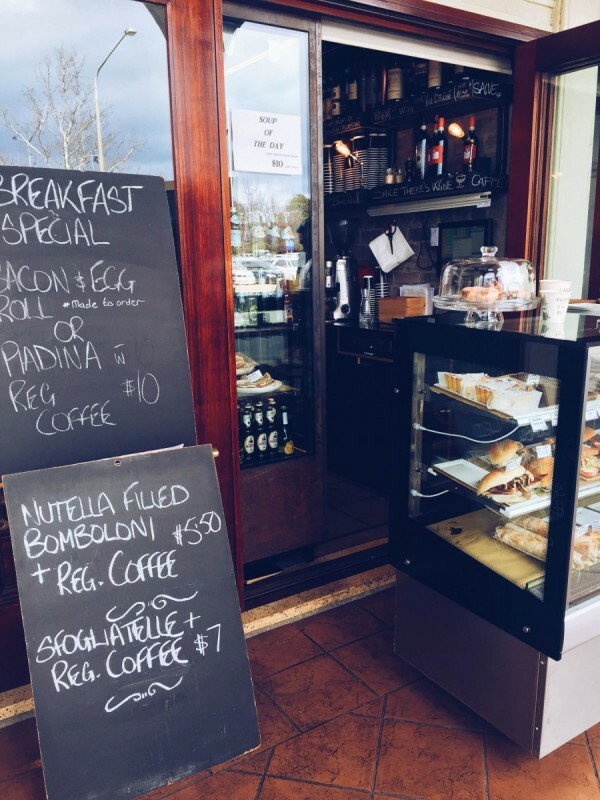 It’s a little hole-in-the-wall cafe offering a range of Italian goodies with something for everyone. If you don’t have much time, you can easily grab a toasted panini and eat on the run. But for those on a more leisurely timetable, they have a few sidewalk tables where you can sit and enjoy something more substantial al fresco-style. We went the toasted panini route, ordering a BLT and a parmigiana toasted panini. At $10 a pop, they weren’t cheap by any sandwich standard, but they were really very good. If you’re into Italian sandwiches, I’d definitely recommend you try one of these bad boys. We finished our lunch with coffee and some sweets. Their coffee isn’t bad, but it’s the ricotta cannoli that’s worth a visit in it’s own right. While both Nookie and Da Rosario are tiny hole-in-the-wall cafes, the similarities seem to end there. Nookie Espresso Bar is all about serving up quality hot drinks with maybe a pastry on the side, while Da Rosario are capturing the upmarket lunch crowd. If you ask me, I’d be going to Nookie for my everyday coffee on my way into work, whereas Da Rosario is more of an occasional lunch destination. It really depends on what you are looking for, but this week the decision comes down to one thing – affordability. Da Rosario is good, but who wants to pay $10 for a sandwich? This week I’m crowning Nookie Espresso Bar as Canberra’s best hole-in-the-wall cafe. Isn’t $10 about average for a good café sandwich? I’d say the cheapest ones that are delicious still come in at the $7.50 mark, and that’s on a good day. NOOKie has to be the best name! By far. Would rather pay $10 for a quality sandwich than $7 for an average one. As the signs says breakfast includes coffee for $10 so not that bad.